Are you loving this wet chilly weather? We are going to be wishing for this when it’s July. We have some of the best snow in a long time and I think we are really starting to see some hope for the summer, but we need to watch out for flooding. Please stay away from the rivers and creeks. Be safe. This week there are loads of activities to keep you going inside and out. Here is something for your “must do” list. Raisin in the Sun will be presented at the Gallo Center by the Sankofa Rep Group. This is one of the classics as we celebrate Black History Month. 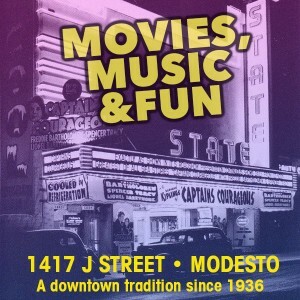 Get your tix at www.gallocenter.org and you can read all about this group and events happening in our area in the Feb ModestoView Magazine. Guys and Gals, Sams and Sals, you know what this week is right? Valentine’s Day. Trust me, you do not want to blow this, and your show of affection can be big, small, expensive or thrifty, store bought or hand made, but one thing is for sure, show the people in your life that matter that you love and appreciate them. The rest is up to you and if you check out our Facebook page, there are some great gifts you can win and a list of local retailers that have something special for this special day. This is all about the love in our community, for our people, our friends and this place we call home or visit. Hope you get out an explore and feel the love yourself. Did you see the amazing Bowie Experience at the Gallo Center Sunday night? Did you love the Johnny Cash Birthday Bash at the Prospect Theatre?